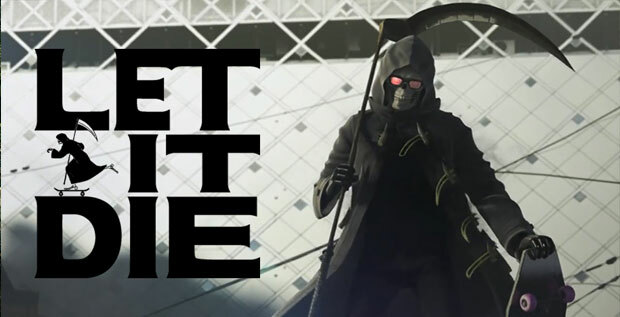 A bunch of useful hints, tips and tricks for the PS4 exclusive hack-and-slash game, Let It Die. Viewing Maps - Press DOWN on the D-Pad to view the area and floor maps. Switching enemies you lock on to - Press UP on the D-Pad to switch locked on enemies. Powerful Attacks - Hold down Triangle + attack to unleash a powerful special attack. Collecting critters and animals - Crouch and press X to collect frogs and other critters / animals that heal you and give you other beneficial statuses. Cooking - Cooking rats, frogs, and other food can improve the effect. Use fire you find in levels to cook. Farming Items - In order to farm more effectively, create a collector character. Collectors have more inventory space for farming. Teleporting back to the waiting room - You can use Typtamine D to take you back to the waiting room instantly. Death on log out - Be careful not to log out unless you are in the waiting room, doing so will kill your character. Breaking Boxes - You can break boxes around levels (punch them to not use weapon durability) which contain items, and sometimes can even open up other paths in the level. Improving R&D Equipment - Researching the same equipment in the R&D will improve that specific equipment by 1, improving it's stats. Taking a break - If you want to take a break but you're not in the waiting room, just put your PS4 to sleep, instead of turning off the game. This way you can continue where you left off, without logging off and losing your progress. Enemy weapon and armor degradation - Enemies can run out of ammo, and their armor can be destroyed. So kiting enemies who use ranged weapons is a good idea. Let them run out of ammo, then you can fight them. Be more careful - Enemies in this game can get overwhelming quickly. The best strategy is to move slowly and pull only one enemy at a time. This way it is much more manageable. Mechanical Enemy Weakness - Guns are really effective against mechanical enemies like robots. Another good tip for fighting the mechanical robots is to rush them. If you wait around too much, they will overwelm you with their attacks. Upgrading your bank - You can upgrade how much money your bank can hold at the Metro Front. Select waiting room, and then select Buy Equipment. Upgraded Weapons/Armor - The little number in the weapon/armor icon (for example +2) is an indicator of how upgraded the weapon/armor is. The higher the number, the stronger the weapon / armor. Daily Login Bonuses - Don't forget to check your login bonuses daily at the reward box located next to your storage box. Dead ends - If a level exit is closed off, it may be because there is a hater to defeat on the current floor. Stealth kills - You can sneak up on enemies if you move really slow and then press X when you are right behind them. This will perform a stealth attack. Once the enemy is on the ground, you can hit X again to finish them off. Quests - You can get quests with some very useful rewards from Naomis PC. Don't miss the elevator switches - Make sure you don't miss the elevator switches on each floor. They are easy to miss and if you do, you won't be able to get back to that floor again until walking back manually! If you have any other Let it Die hints, tips or tricks, please post them in the comments below. Thanks for your contributions.